If you want a gorgeous entrance that’s both elegant and rugged, then look no further than our custom-made Redwood Doors. 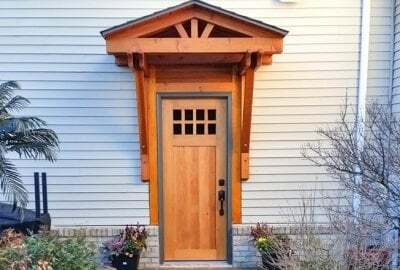 These doors are thick timbered, and built tough to create a bold entranceway that’s safe, stylish, and a great way to insulate your house in extreme hot and cold temperatures. Your front door is the most important part of your house. 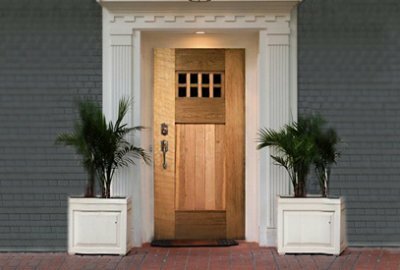 Make it a memorable, beautiful, fortified redwood gateway with our one-of-a-kind doors from Forever Redwood. Check out these two incomparable styles we have to offer. Our Forever Doors have a traditional covered look, with an old-world build, and a modern, efficient design. Our Heritage Doors convey subtle elegance, all while giving you a rock solid structure that's practically impervious to weather, or the rigors of daily opening and closing. You won't need to replace, repair, or repaint these Redwood Doors for decades, and they are as safe and sturdy as the leading metal doors out on the market today. Solid, beautiful fine grain Redwood doors. These garden doors will provide a lovely entrance to your enclosed property but are also handcrafted to withstand the harshest weather conditions. Our gorgeous Heritage Door is our very best Door. The choice if you'd like a door to last the life of your home. 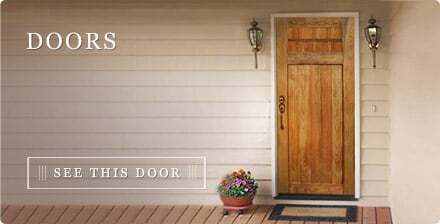 Similar to our Forever Door it has one big difference - it's crafted in exquisite, 12-inch boards of solid Old Growth Redwood with a 30 year guarantee against decay.